Grain Farmers of Ontario offers 8 marketing programs for producers. If you are looking for marketing forms, both agent and producer forms are located on this page. Click on a program below to expand it and learn more. Wheat Producers can deliver their wheat between June 1st and September 30th to any Grain Farmers of Ontario appointed agent, terminal or processor and participate in the pooling program. Grain Farmers of Ontario markets the pooled wheat on behalf of the producers. Producers receive an initial payment upon delivery. Pricing for initial payments is based on landed basis points that include direct delivery to a terminal or Ontario mill. When delivery is made to a board appointed agent, producers’ will receive an initial payment less license fees, handling and transportation costs directly from the elevator at the time of delivery. Handling and transportation fees are negotiated directly between the producer and the elevator. When delivery is made to a terminal elevator or processor, a payment for the full initial payment less license fees and applicable deductions will be sent to the producer from the Grain Farmers of Ontario office. Interim payments may be made throughout the year as the crop is sold. 90% or better of the expected returns will be distributed to producers by January 31st – the goal will be to have interim payment cheques, in the mail by January 15. The final payment would be distributed to producers after the May 31st crop year end and a completed audit, typically in August. All wheat intended for the pooling program must be delivered by September 30th of any given crop year. Must deliver to a Grain Farmers of Ontario-appointed agent, terminal elevator or processor between June 1st and September 30th of the crop year. Sample wheat is not accepted by Grain Farmers of Ontario. Wheat delivered to Grain Farmers of Ontario between June 1st and September 30th by producers who do not have any contracts with Grain Farmers of Ontario, will automatically go into the pool and NOT cash pricing. Grain Farmers of Ontario markets this grain throughout the crop year. To check the current crop year’s initial payments click here. Can capture price or basis increase after harvest. Can deliver to any Grain Farmers of Ontario location. Do not get all of the cash up front. Prices could go down. Think of the pool as one tool to help manage your price risk. You believe pooled returns will be greater than returns from marketing alternatives. You can afford to wait for payment. Can participate in post-harvest price rally. Grain Farmers of Ontario markets the grain throughout the crop year. Store wheat with the intention of movement in Dec, Jan, Feb, or March. Initial payment will include a storage premium as follows. Contracts will be for a specific delivery period. Deadline to sign up is Sept. 30th of any given crop year. Able to deliver Pooled wheat at a later date and benefit from pool returns. You are entered into a contract for a certain class and grade of wheat. Failure to deliver will result in an assessment of liabilities. You would like to store your grain but still participate in the pool. Producers can commit these wheat tonnes into the pool by entering into a Pre-Pool Contract. Wheat shall be delivered to a Grain Farmers of Ontario appointed agent, terminal, or processor between June 1st and September 30th. This contract works the same as delivering wheat into the pool. The difference here is that a producer is committing a certain amount of tonnes to the Grain Farmers of Ontario wheat pool prior to delivery. Instead of receiving only the initial payment at time of delivery, a payment of 70% of cash price value the day it is reported into the computer system would be issued to the producer. When an interim (if any) payment is made the amount paid over and above the initial payment would be deducted off of the interim. A producer may also ‘cash out’ their pre-pool contract essentially rolling the contract to a Forward Contract by September 15th of that crop year, a $5/mt admin fee will be applied. 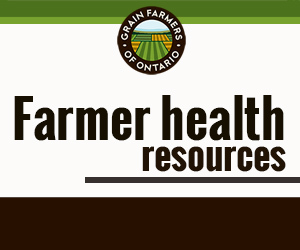 Pre-Pool Contracts have to be established with Grain Farmers of Ontario no later than August 31st. The producer would receive more cash up front than the initial payment. You are entered into a contract with expected delivery of Class and grade of wheat. Failure to deliver will result in an assessment of Liability. You want to take advantage of the Pool, but need more cash flow at time of delivery. You can potentially take advantage of market if it rallies and Cash Contract before September 15th. Wheat producers can deliver their wheat at any time between October 1st and May 31st to any board appointed agent, terminal, or processor and receive the closing price on the day the wheat gets reported to the board office. When delivery is made to a board appointed agent, producers receive the initial payment less license fees, handling and transportation costs directly from the elevator at the time of delivery. Handling and transportation fees are negotiated between the producer and the agent. A second payment will be sent to producers for the balance of the closing price from the board office. When delivery is made to a terminal elevator or processor a single payment for the full amount less license fees and applicable deductions will be sent to producers from the board office. After September 30th and before May 31 of any given crop year. Wheat delivered to the board between October 1st and May 31st by producers who do not have any contracts with the board, will automatically go to cash pricing. You want simplicity. You want immediate cash flow. Producers can select a price that they would like to contract wheat at and Grain Farmers of Ontario staff will monitor the price. If it reaches the desired price, Grain Farmers of Ontario staff will write a contract at that price. Producers would call the marketing department and place an order to contract wheat at a specified price. Information required is: type of wheat, amount of wheat, delivery period and strike price. A resting order application would be sent to the producer with the details of the order. If the price happened to reach the desired price a forward contract would be written at that price and all processes for a forward contract would be followed. If the price is not reached the order expires after 30 days and the producer has no commitment to deliver the wheat. Resting Orders are valid for 30 days from the original call. Resting Orders will expire 30 days after they are taken if they have not been converted to forward contracts. They can be cancelled at any time as long as they have not been converted to a forward contract, if the board is notified by the producer. Allows producers to sell at a desired price without having to monitor the daily prices. Price could go higher than the resting order price. You do not have the time or resources to watch the market closely. You know what price you want to sell your wheat at. Producers can lock in a price for wheat at any time during the year, to be delviered during a future delivery period to a specific destination. Similar to a Forward Contract, producers are required to call the board between 10:45am and 2:00pm while the grain markets are open and receive a quote from a staff member. If the price is agreeable a contract will be drawn up that will include: amount of wheat to be delivered, type and quality of wheat to be delivered, price in Canadian dollars that the producer will be paid per tonne and per bushel, the delivery dates and the destination the wheat will be delivered to. A contract will be printed and sent to the producer. The producer will have 72 hours to notify the board of any discrepancy in the information on the contract. If the board is not notified of any discrepancies in the data, this document will be a legally binding contract between the board and the producer. When the delivery period arrives the producer is responsible to deliver the wheat to the specific destination stated on the contract. When delivery is made against a Defined Destination Contract a single payment for the full amount less license fees and applicable deductions will be sent to the producers from the board office. Defined Destination Contracts may not be available for all locations. Producer’s can enter into this type of contract at any time prior to the wheat being delivered. Minimum contract size is 500 bushels or 13.608 tonnes. Contracts must be in place before the delivery ticket information is submitted to the board office. Contracting hours are 10:45am to 2:00pm while markets are trading. Wheat must be delivered to the location stated on the contract. Premium pricing and/or cost savings. No flexibility on delivery location. You know where you are going to deliver your wheat. You are willing to commit to deliver to a specific location. From time to time, Grain Farmers of Ontario has opportunities to pick up wheat directly from the farm. In these instances the producer would not have any freight expenses. If an opportunity exists the producer would contact the marketing department and a special contract would be drawn up including the details of the contract. Bids would vary depending on location and opportunities at the time. These opportunities are not always available, call the board office to see what is available. Producer must have on farm storage, these opportunities are NOT available for OFF THE COMBINE wheat. Farm storage setup must be able to accommodate the loading of a tractor trailor in approximately 30-40 minutes maximum. If a load is rejected at the end user the load would be trucked to the nearest terminal and unloaded and all freight charges would be billed to the producer. These contracts will be offered on a case by case basis and are not available to all producers. Details would be explained based on the specific opportunity. No freight costs. Premiums may also be available. Not available all the time. Not available to everyone. Risk of freight charges if loads are rejected. You have on-farm storage and want to add value to your wheat. The opportunities exist in your area. Producers can lock in a price for wheat at any time during the year, to be delviered during a future delivery period. Producers are required to call the board between 10:45am and 2:00pm while the grain markets are open and receive a quote from a staff member. If the price is agreeable a contract will be drawn up that will include: amount of wheat to be delivered, type of wheat to be delivered, price in Canadian dollars that the producer will be paid per tonne and per bushel, and the delivery dates. A contract will be printed and sent to the producer. The producer will have 72 hours to notify the board of any discrepancy in the information on the contract. If the board is not notified of any discrepancies in the data, this document will be a legally binding contract between the board and the producer. When the delivery period arrives the producer is responsible to deliver the wheat to a board appointed agent, terminal elevator or processor. When delivery against a forward price contract is made to a board appointed agent, producers recieve the initial payment less license fees, handling and transportation costs directly from the elevator at the time of delivery. Handling and transportation fees are negotiated between the producer and agent directly. A second payment will be sent to producers for the balance of the contracted price from the board office. When delivery is made to a terminal elevator or processor, a single payment for the full amount less license fees and applicable deductions will be sent to the producers from the board office. Minimum contract size is 500 bushels or 13.608 tonnes. Contracts must be in place before the board appointed agent, terminal elevator or processor submits the delivery ticket information to the board office. Contracting hours are 10:45am to 2:00pm while markets are trading. Contracts are not available for Feed Wheat or Pool F Wheat. Protein payments for Hard Red Spring and Hard Red winter are over and above contract price and are paid directly to producers by local agents. Resting Orders can be used to secure a Forward Contract. Can capture attractive prices for future deliveries. Can deliver to any board location. May not produce the required amount and would have to buy wheat to replace it. You are satisfied with the forward contracting price offered. You want to take advantage of an opportunity to lock in a profit on a portion of your crop. You are certain of the delivery month you will be delivering your wheat. 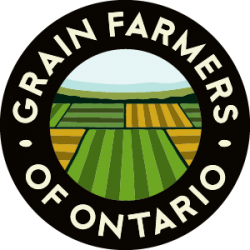 An Ontario licensed grain dealer can become an agent if they are interested in receiving Grain Farmers of Ontario wheat. The minimum requirements are storage capacity, bins, access to a dryer, a scale on the premises, protein assessment equipment and moisture and grading equipment. It is also helpful for all agents to attend a wheat grading course. This is Grain Farmers of Ontario’s shipping bill or Bill of Landing. This form is needed to deliver wheat directly to the terminals. Please call the marketing department directly at 519-767-6537 to obtain this form. Use this form for Declaration of Variety – Canada Eastern Hard Red Wheat. This document is for producers who wish to defer their wheat payments with Grain Farmers of Ontario. Use this form to authorize Grain Farmers of Ontario to deposit payment directly into your account. Use this form (also known as Form 3) for agent wheat deliveries payable by Grain Farmers of Ontario. A Quick Reference Guide is available to help explain this process. This form states your strike price and the amount of wheat you wish you market. Using this form will allow Grain Farmers of Ontario to watch the markets for you. This is only available by calling the marketing department. They can be reached at 519-767-6537.